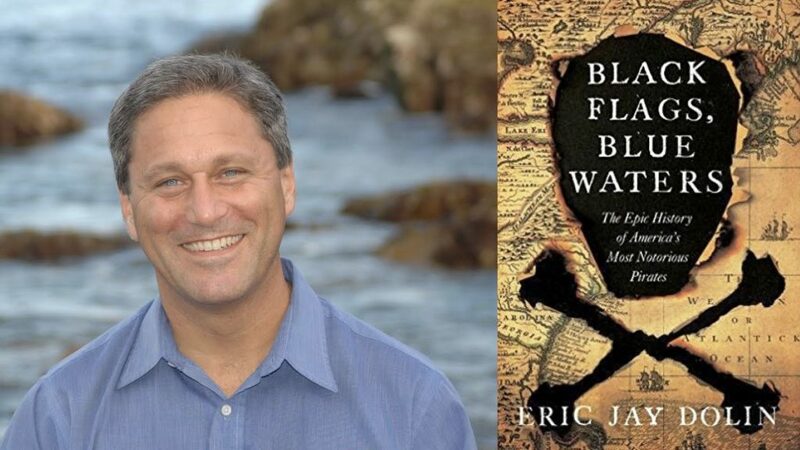 Set against the backdrop of the Age of Exploration, Black Flags, Blue Waters reveals the dramatic and surprising history of American piracy’s “Golden Age”—spanning the late 1600s through the early 1700s—when lawless pirates plied the coastal waters of North America and the Indian Ocean. In this presentation, bestselling author Eric Jay Dolin illustrates how American colonists at first supported these outrageous pirates in an early display of colonial solidarity against the Crown, and then violently opposed them. Dolin depicts the star pirates of this period, among them towering Blackbeard, ill-fated Captain Kidd, and sadistic Edward Low, who delighted in torturing his prey. Upending popular misconceptions and cartoonish stereotypes, Black Flags, Blue Waters provides a wholly original account of the seafaring outlaws whose raids reflect the precarious nature of American colonial life. Eric Jay Dolin is the author of Leviathan: The History of Whaling in America, which was chosen as one of the best nonfiction books of 2007 by the Los Angeles Times, Boston Globe, and Providence Journal, and also won the John Lyman Award for U.S. Maritime History; and Fur, Fortune, and Empire: The Epic History of the Fur Trade in America, which was chosen by the Seattle Times as one of the best nonfiction books of 2010, and also won the James P. Hanlan Book Award, given by the New England Historical Association. He is also the author of When America First Met China: An Exotic History of Tea, Drugs, and Money in the Age of Sail, which was chosen by Kirkus Reviews as one of the 100 best nonfiction books of 2012; and Brilliant Beacons: A History of the American Lighthouse. A graduate of Brown, Yale, and MIT, where he received his PhD in environmental policy, Dolin lives in Marblehead, Massachusetts, with his family. Book sale and signing will follow. Free and open to the public thanks to the generous sponsorship of The Friends of the Reading Public Library.